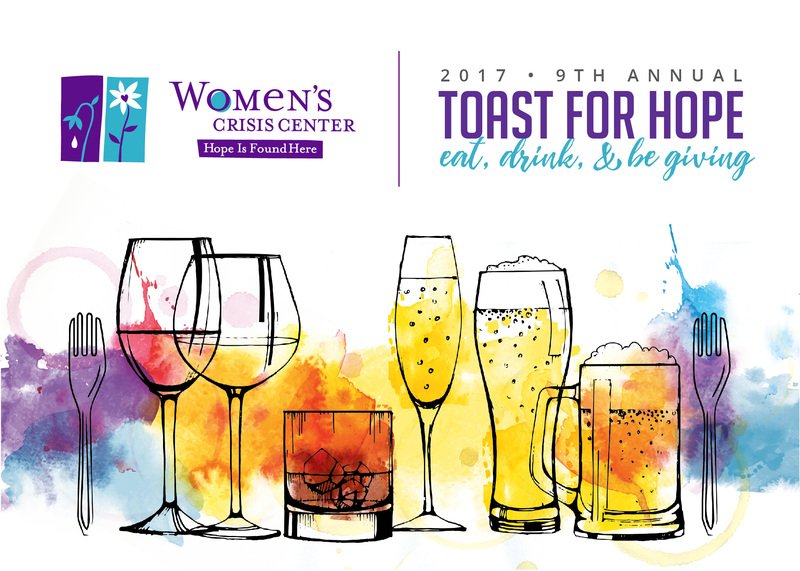 Join us for the Women’s Crisis Center’s 9th Annual Toast for Hope! The evening will include wine, craft beer and bourbon tastings, open bar, dinner by the bite, auction, DJ, dancing, giving, and more! 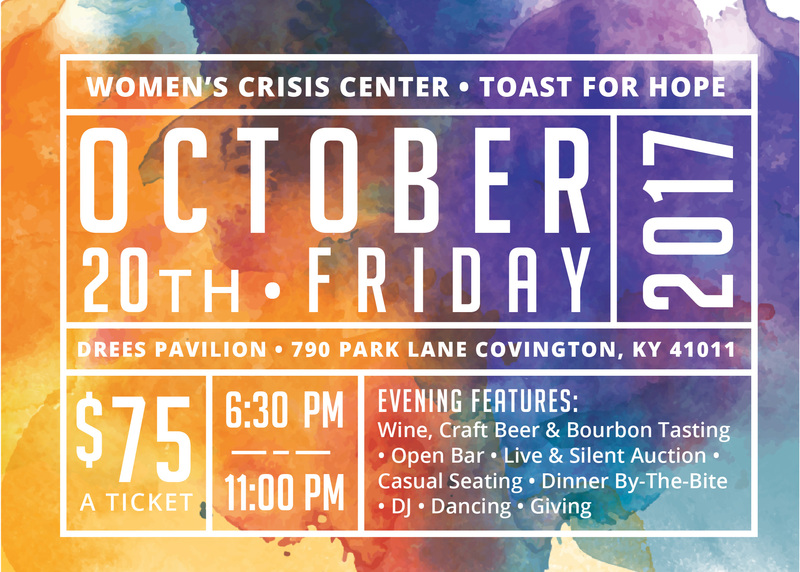 Join us at the 9th Annual Toast for Hope! Click Here for ticket details and to purchase your tickets TODAY! 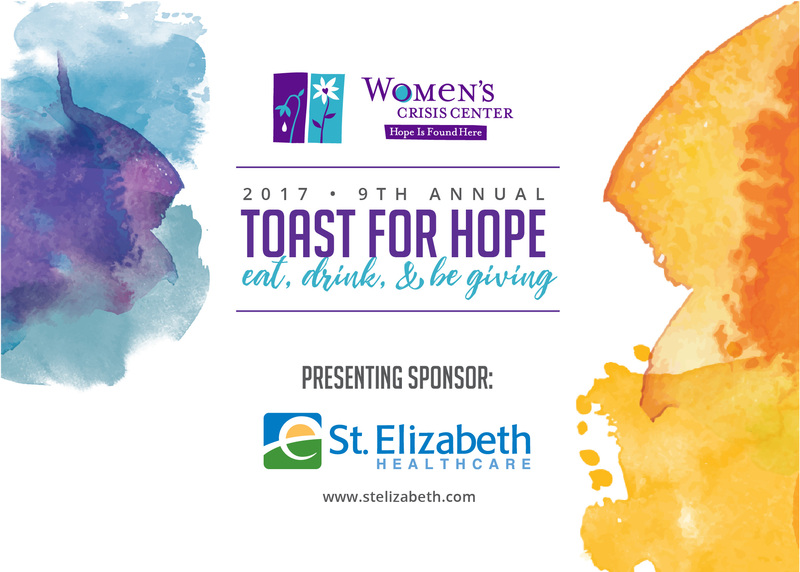 Interested in Becoming a Toast for Hope Sponsor? 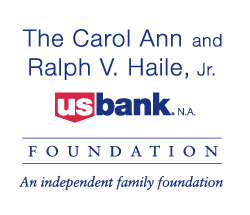 Click Here for sponsorship details and to become a Toast for Hope sponsor NOW!